The AquaTech SZ Zoom Gear for Sony FE 16-35mm f/4 Lenss allows you to zoom your lens underwater while inside a lens port and camera housing. To learn more about what lens ports are compatible with this zoom gear, see this AquaTech Housing and Lens Port Compatibility Chart. Zoom gears are not required for underwater protection but if you don't use one, and opt to just use a lens port alone, then you will have to choose your focal length ahead of time on your zoom lens and stick to it throughout your underwater session. • Compatible with the Sony 16-35mm f/4 lens (not included). For a zoom gear compatible with the Sony 16-35mm f/2.8 GM lens, please see the AquaTech SZ Zoom Gear for Sony FE 16-35mm f/2.8 GM Lens. 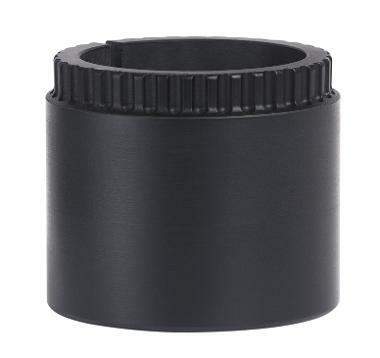 • Refer to our blog post on AquaTech housings and lens ports for more information on how to use this zoom gear.